Reported in a clinical journal 'The Ocular Surface', the innovative method comprises the custom-building of an advanced imaging microscope in association with state-of-the-art computing and artificial intelligence operation. The result is an automated system that is able to successfully identify between diseased and non-diseased eye tissue, in real-time, through a simple scanning process. 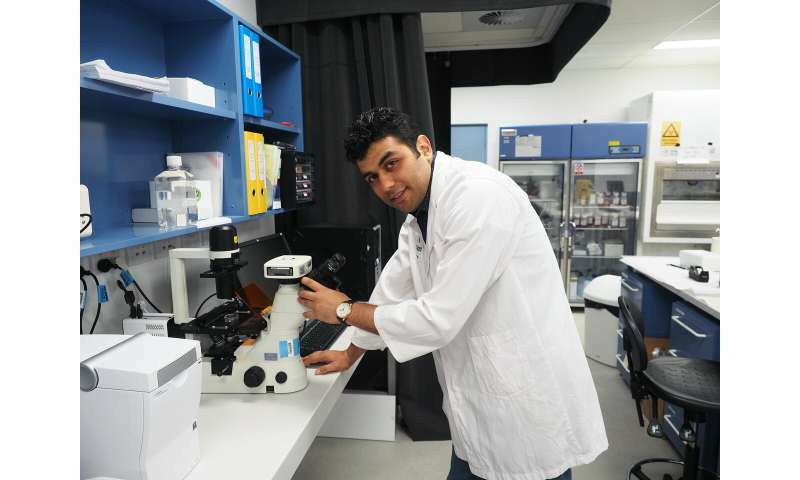 "Clinical symptoms of OSSN are known to be variable and in early stages can be extremely hard to detect so patients may experience delays in treatment or be inaccurately diagnosed," says Mr Habibalahi, Researcher at the ARC Centre of Excellence for Nanoscale BioPhotonics (CNBP) and lead scientist on the project. "The early detection of OSSN is critical as it supports simple and more curative treatments such as topical therapies whereas advanced lesions may require eye surgery or even the removal of the eye, and also has the risk of mortality," he says. "Our hi-tech system scans the natural light given off by specific cells of the eye, after being stimulated by safe levels of artificial light. Diseased cells have their own specific 'light-wave' signature which our specially designed computational algorithm is then able to identify providing a quick and efficient diagnosis," says Mr Habibalahi. "We successfully identified the diseased cells in all eighteen cases," confirmed Mr Habibalahi. "A quick test using our automated system is all that is necessary to pick up early warning signs of OSSN." "This benefits both the patient and the doctor. 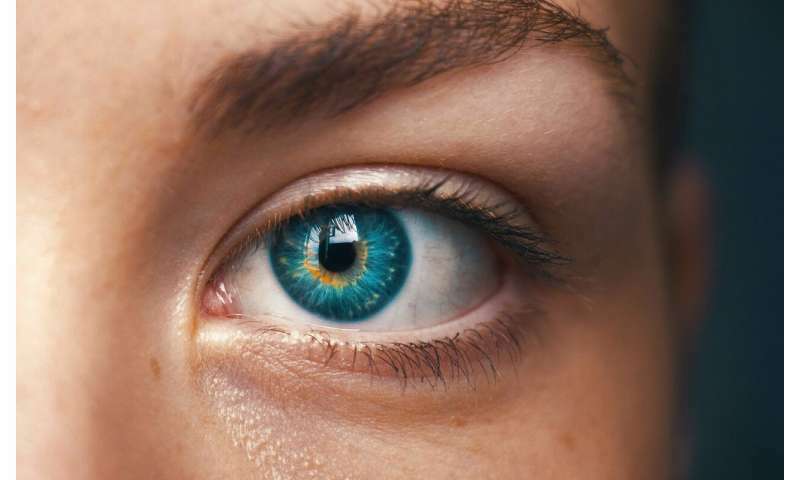 Biopsies of the eye can be traumatic and can also be costly and time intensive with samples needing to be sent to a laboratory for testing," Mr Habibalahi says. "We will be able to confirm the disease straight away through a simple eye scan with no biopsy required and appropriate action can be quickly progressed by the specialist." "This is highly desirable in a clinical setting," Mr Habibalahi says. "Accurate boundary delineation of OSSN means that curative treatments such as topical medications or surgery can be more accurately and effectively applied." "Our technology has the potential to be a real game-changer in dealing with eye disease," he says. "Next steps are to make our system practical and workable in a clinical setting. We hope to do this by incorporating our system into a standard retinal camera setup—similar to that used by opticians and optometrists when undertaking regular eye examinations."